Our memories are crazy. Ask us where we were and what we were doing thirteen years ago on any other day and we probably wouldn’t know, or be able to picture the day. Most of us have a pretty vivid memory of September 11th though. I believe this is called a flashbulb memory. I was young, in 5th grade at the time, but I remember. I had just moved from Vermont to Maine a week or two before it happened. I was in a new state, and new school in Westbrook Maine in Mrs. Noise’s class. It is rare that I even remember my teacher’s names from that far back, but I remember hers. It was first apparent that something was wrong when we weren’t allowed to go out for recess. I mean that was a big deal. We were kids and had a lot of energy and needed to play outside to get it out. My class began to become more alarmed as we watched parent after parent arrive to pick up their children. Mine didn’t come. I just watched through the window at all the others leaving, speculating about what could possibly be happening. I never could have guessed. No one would tell us what was going on, but we were stuck in that classroom, no longer doing work until the ones that had not been claimed by their parents were free to go. I took the bus home like I normally did and went home. My dad and step-mom weren’t there. The TV was on playing the footage over and over again. I was confused and scared and didn’t know if something had happened to my dad and step-mom too. I watched it until they came home. I think that was the first time I understood what a terrorist attack was. I still didn’t understand the why or even what happened to its full extent, but as I learned more I gained a little more understanding. I still don’t understand how people can just take so many innocent lives. I get being pissed at the US for whatever reason, I know we don’t have the best track record, but the people being attacked aren’t the ones that did whatever it was that pissed them off. I suppose not everyone has a rational mind. SIGH. I guess I will never really understand, just like I never understand when people go on shooting sprees and stuff like that. This world has turned into a very scary place. Today I remember that day. 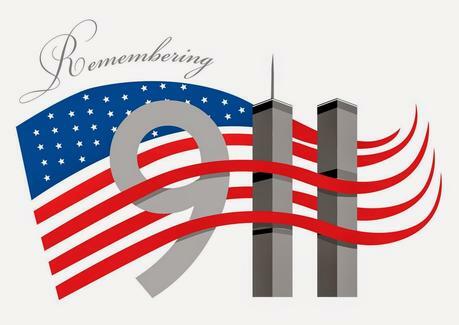 I didn’t know anyone who died or was hurt, but I am thinking about all of those lost lives and the brave firefighters, police and all first responders that were there that day. They deserve to be remembered every day, but as our lives get busy we lose sight of that, so today is the time to put our busy lives on hold for a few minutes to honor all the lives affected by September 11, 2001, A day I, and so many others, will never forget.